SDL Electrical have the expertise to give you the solution to your heating controls requirements. 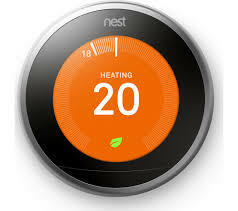 We have experience in installation of internet and app based heating controllers such as Nest, Hive, Tado and Honeywell Evohome to name a few. These devices give a lot of flexibility for the users to be able to control and monitor the heating when away from home, or if heading home early the ability to turn the heating on so upon your return you are met by a cosy warm home. Most of these controllers learn how to heat your home, and can offer a saving on heating costs, with a more comfortable level of heat as well. SDL Electrical also have vast experience and knowledge on the non internet based but wireless programmable room stats, such as Honeywell, EPH and Timeguard. These devices give superb control over heating temperature with advantages over the standard method of hard wiring in a programmer and room stat. With the devices being digital they offer a greater control over room temperatures, and this should save on heating costs with a greater degree of comfort as well. SDL Electrical can provide a quick response should you have an electrical emergency. We primarily cover Larne and surrounding areas such as Carrickfergus, Ballyclare and Ballynure. We have the experience and expertise to find and repair the cause of your electrical fault and get power restored. Welcome to the SDL Electrical Blog, where we can bring up to date information with regards to all electrical information and any offers we have.